Edge is a Catholic middle school youth ministry program that provides a safe fun place for youth to find solid Catholic community, to get answers to their questions about faith, and, most importantly, to experience Jesus in a profound and personal way. Edge exists to give middle school youth a safe place where they are free to be themselves, surrounded by others seeking Christ. Our goal is to help each youth fall in love with the God who is already madly in love with them. Edge meets on Friday nights from 7:00–8:30 pm in the Parish Hall at Blessed Sacrament. Each Edge Night is filled with fun and games, is centered on Church teaching and Scripture, and gives the youth an avenue to share their faith through small group discussion. 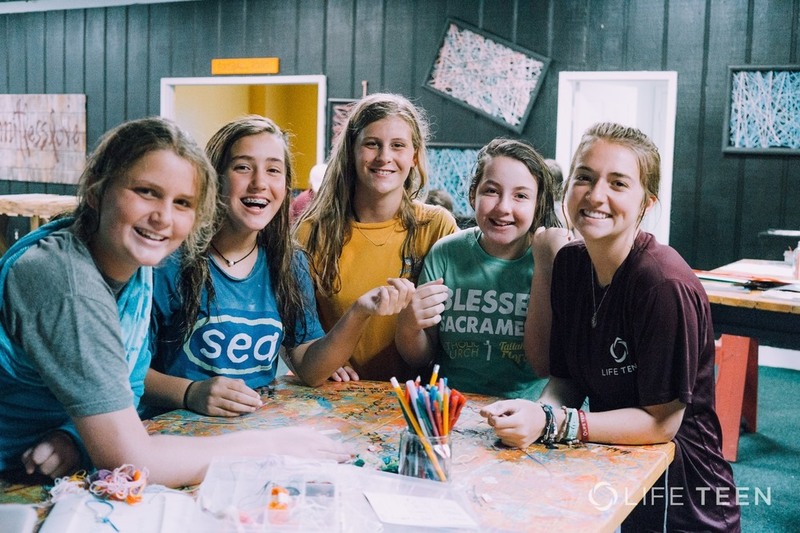 ​﻿Any student in 6th-8th grade is welcome to come to Edge, whether you are in public school, private school, homeschool, or if you are Catholic or non-Catholic.